A series of gorgeous colour photos taken by Monroe Sixer Frieda Hull, whose incredible archive of candid snapshots were auctioned at Julien’s in November 2016, were published in yesterday’s Daily Mail. 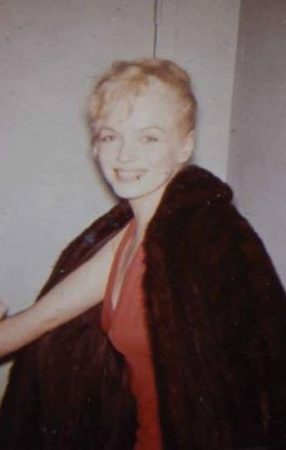 The images show Marilyn arriving for test shots for The Misfits in New York in July 1960. Unfortunately – and all too predictably – the pictures are accompanied by a salacious and frankly unbelievable story. 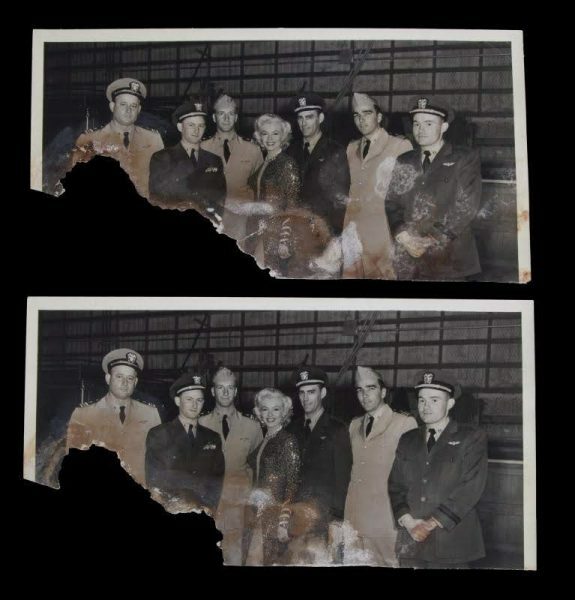 Marilyn’s belly is rather prominent in the photos, and Tony Michaels – a Las Vegas casino croupier who befriended the late Frieda Hull, and purchased the images at auction – claims that Marilyn was secretly pregnant at the time, by her Let’s Make Love co-star Yves Montand. 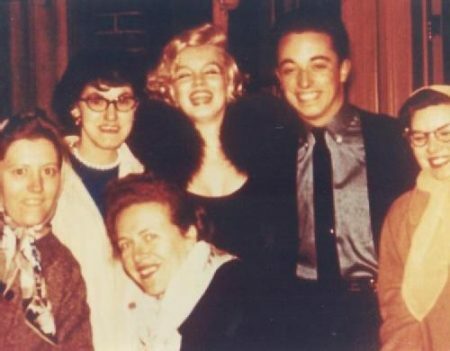 That Marilyn and Yves had an affair is not in doubt, and of course they were both married to other people. 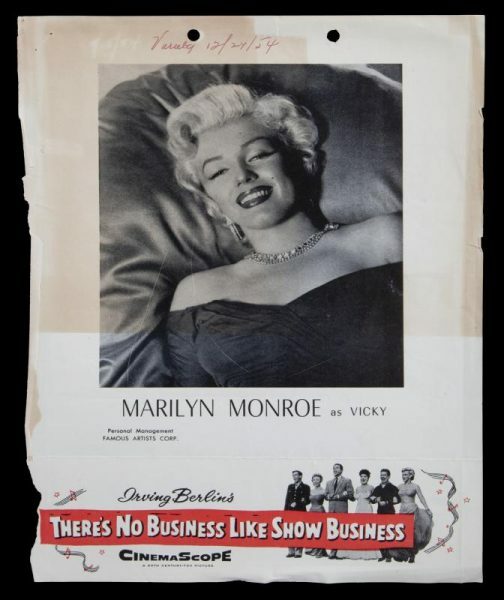 However, a pregnancy at this time has never been mentioned, and Marilyn’s daily routine is extremely well-documented. To casual observers her protruding tummy may look like a baby bump, but seasoned fans have noticed many similar images of her over the years. 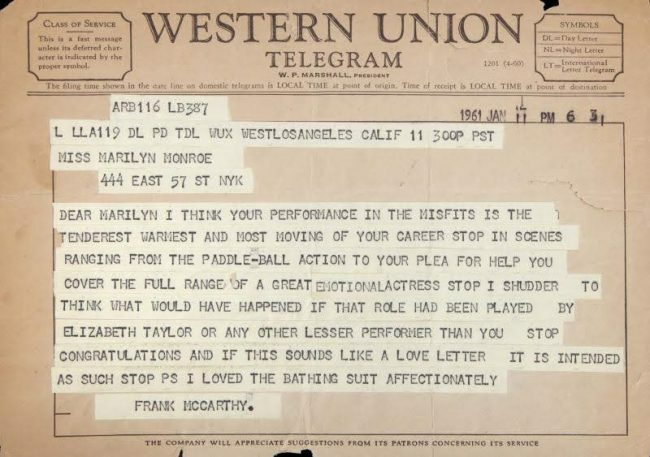 Furthermore, Marilyn was a very private person and it would be out of character for her to have confided in a teenage fan. Frieda Hull never sought publicity and it seems all too convenient that such a story would emerge only after her death. 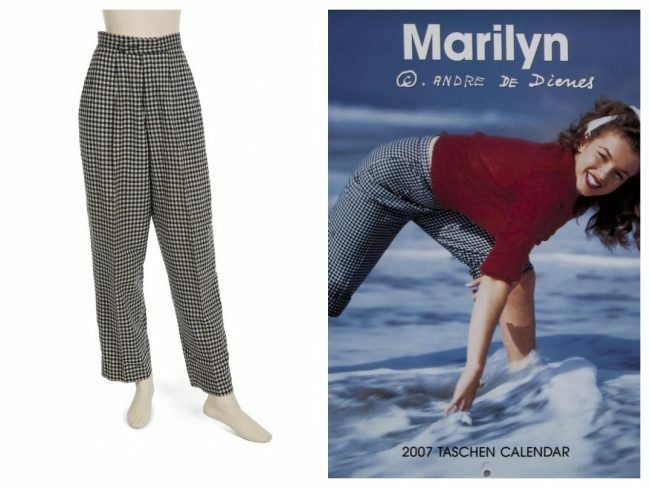 It has also been debunked by Scott Fortner, who helped to catalogue the recent Julien’s sale in which these photos were featured, on his MM Collection blog; and by Immortal Marilyn. The Frieda Hull collection ranges from approximately Lots 605-788 of the Julien’s sale, and is well worth a closer look. Time have featured some of the most striking images on offer, and I’ve posted a few more below. 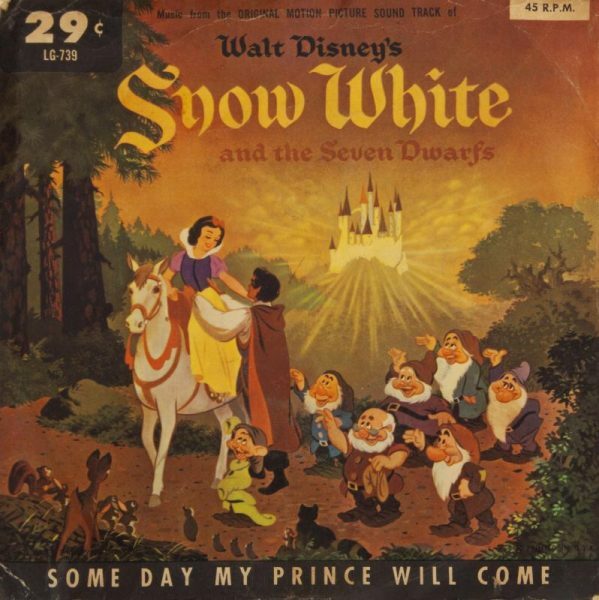 Frieda Hull also collected original memorabilia, including movie stills, studio portraits and lobby cards. 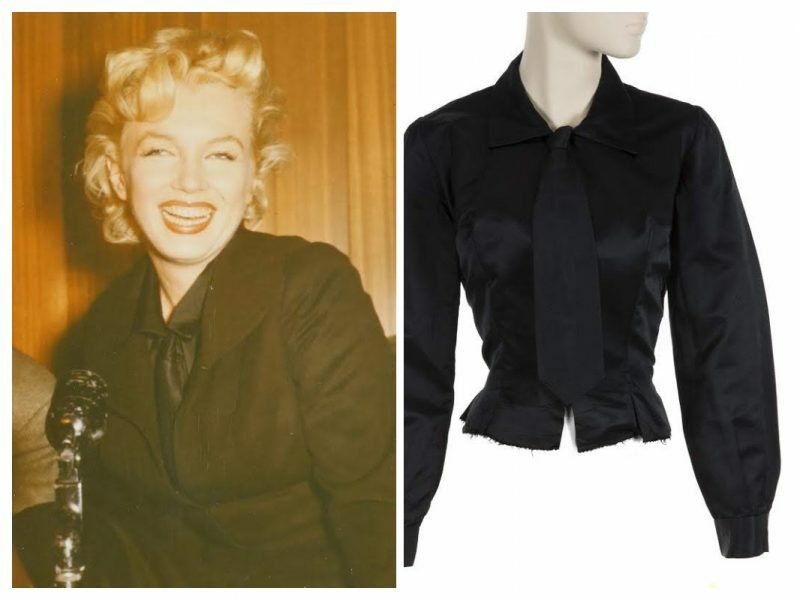 She compiled scrapbooks and home movies, and even owned a scarf of Marilyn’s, and a Gladstone Hotel menu signed by MM and Arthur Miller – not to mention a Monroe Six badge! 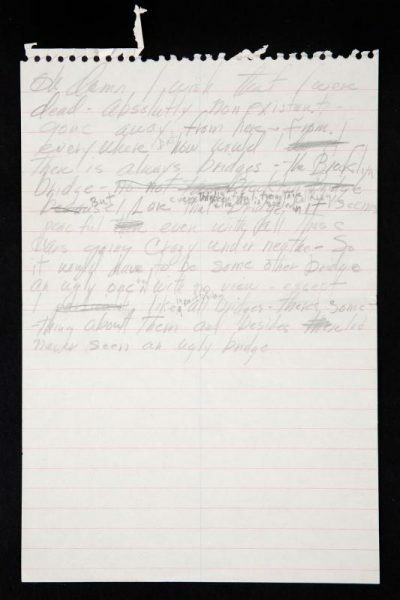 This archive is so unique that it could easily fill a book. Although some images have been seen before, many have never been published, and some are extremely rare. 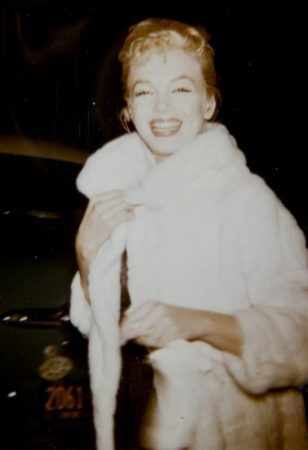 Whatever her mood, Marilyn could always spare a smile for her fans. So let’s hope this isn’t the last we’ll see of these lovely pictures. 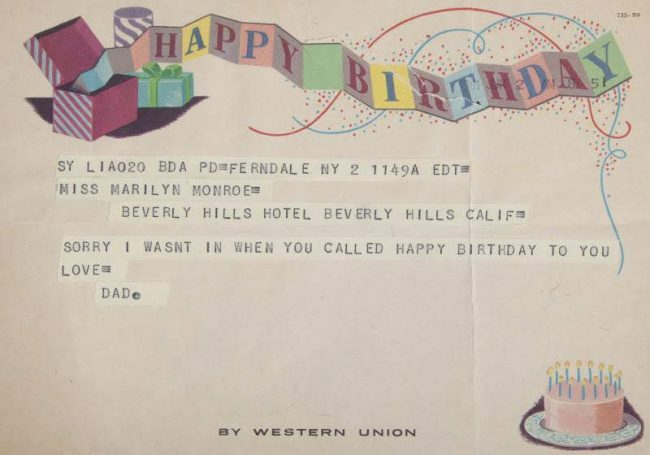 “Hull’s job as an airline employee also enabled her to follow Monroe on the West Coast, and throughout her life she built up an archive of rare photographs spanning the actress’ entire career. In addition to the photographs that members of the ‘Six’ took themselves, Hull’s collection features a wide range of previously unseen images. 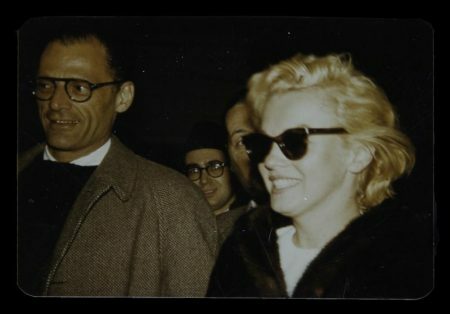 They include unseen colour photos of Monroe as she sang ‘Happy Birthday’ for President John F. Kennedy at Madison Square Garden; slides of her on location filming the iconic subway skirt-blowing scene from The Seven Year Itch; and images of her and husband Arthur Miller after the premiere of Some Like It Hot in 1959. 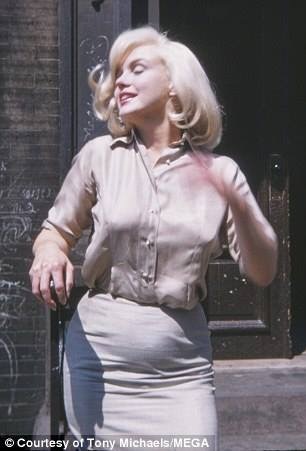 In all, the Frieda Hull collection includes 550 colour and black & white candid photographs, more than 150 slides, close to 750 movie stills, publicity photos and lobby cards, and even personal home movies of Monroe leaving her New York apartment in 1958. Just four years younger than Monroe, Frieda Hull died in Las Vegas in 2014, aged 83. You can read her obituary here. 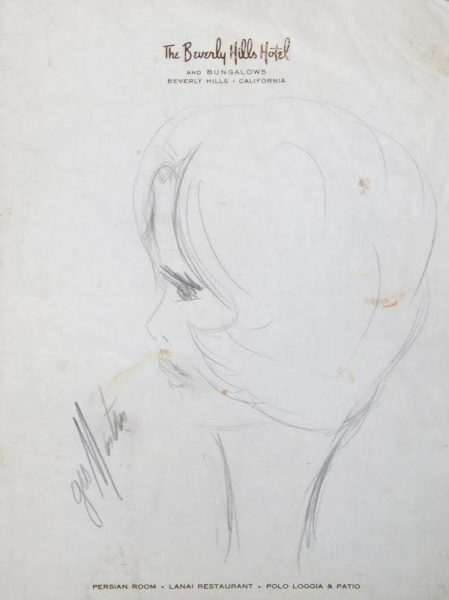 And for an exclusive sneak preview of the Frieda Hull collection, visit Scott Fortner’s blog here. 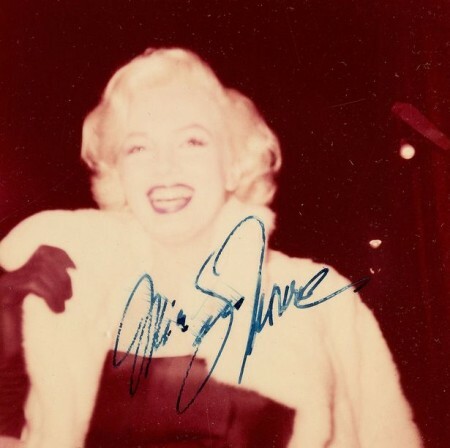 In a blog post for Immortal Marilyn, Marijane Gray reviews the recent Heritage Auctions sale of the candid photo archive released by Monroe Sixer James Collins. 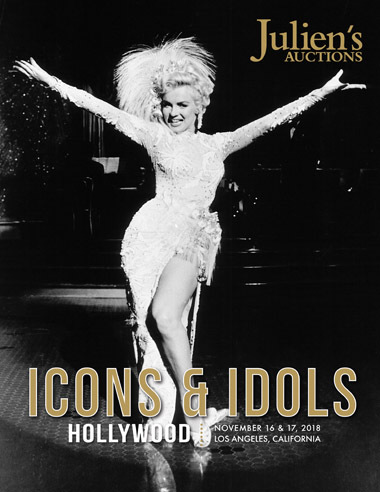 “A massive collection of 183 snapshots, divided into sixteen lots, was auctioned off to collectors and fetched the high prices that Marilyn memorabilia always draws. 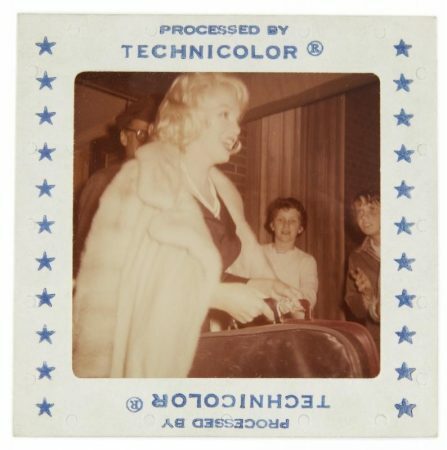 Prices realized ranged from $800 for a group of eight snapshots of Marilyn at the Gladstone Hotel up to $5,500 for a lot of 22 snapshots of Marilyn at various public events, including the premieres of The Rose Tattoo, The Pajama Game and Gigi. 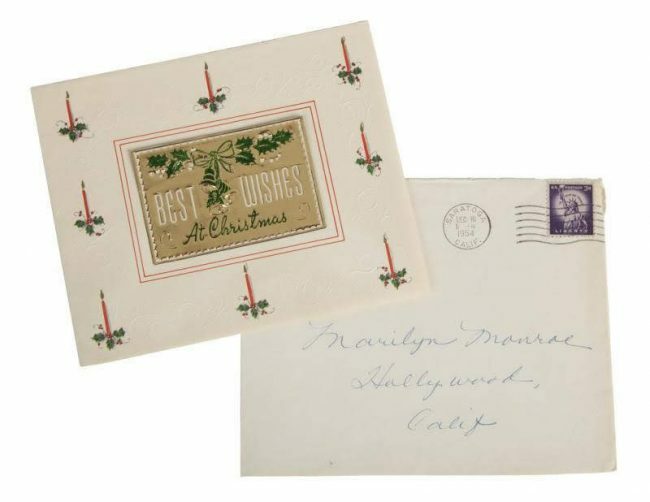 Also included in the auction were seven individual snapshots that had been autographed by Marilyn. These special pieces garnered between $1,450 and $5,000 each. 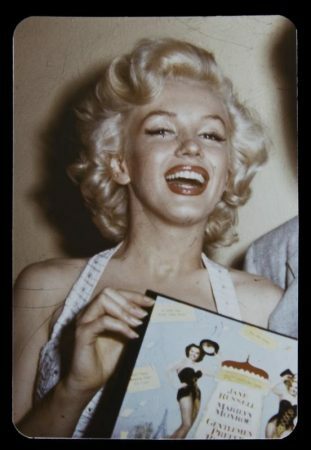 A remarkable collection of candid photos, including some never seen and taken by James Collins – an original member of the ‘Monroe Six’, the group of teenage fans who befriended Marilyn after she moved to New York – will be on sale via Heritage Auctions on February 20, the Mirror reports. 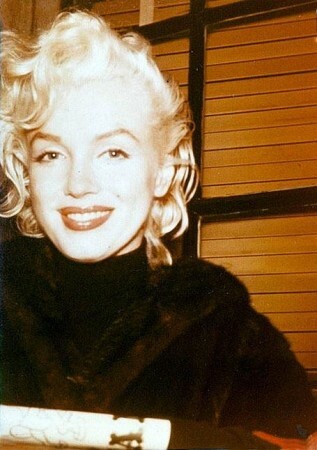 “Marilyn moved to New York in 1955 and spent about five years in Manhattan. We all met on the street and we just sort of decided we were going to be a group. 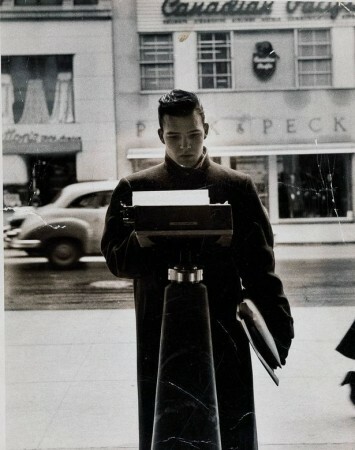 I just used any box camera I had, nothing fancy because I couldn’t afford an expensive camera. We knew where she lived and her hairdresser [Peter Leonardi] was a friend of ours so he would tell us when she was going to an event and where she would be. Afterwards we would run to the drugstore to get our snapshots developed in multiples so that all of us could have all the shots we had taken of her. 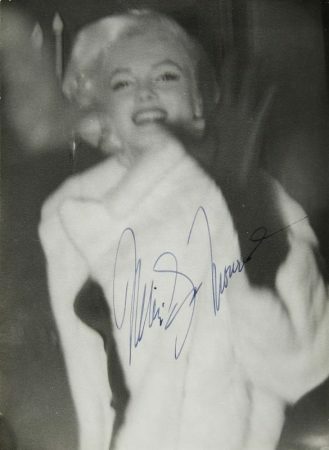 We wanted nothing from her except the opportunity to take her picture or to get her autograph – and often she would sign on the very photographs we had just taken of her the day before. I kept them in a little satchel, but after she died I put it in my closet and left it for years.